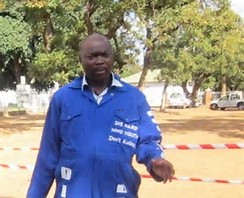 MMD die hard thug Bowman Lusambo has ordered officer bearers in the Lusaka city council to to stop wearing ties and to stop sitting in offices. Lusambo who is the PF minister for Lusaka says accounts, planners etc must now start putting ion gumboots and carrying shovels to the office. “I want to make sure that all the people who are working in the local authority, no more staying in those offices, no more putting on ties. We are here not to put on ties. The people of Zambia voted for us not to go and put on ties in those offices. 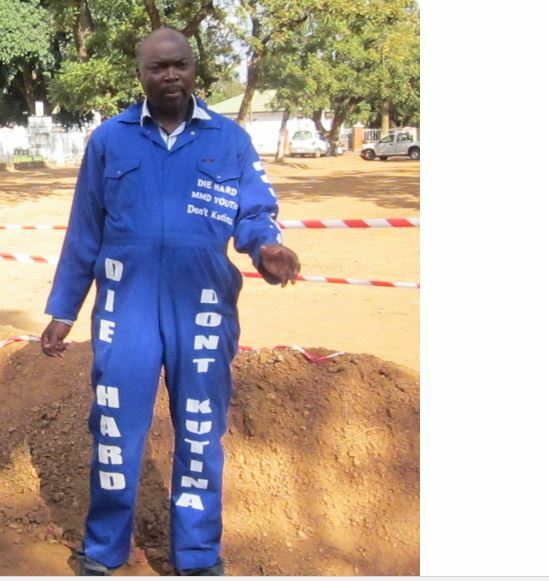 They voted for us to put on gumboots and overalls to come and work with you, and we will work,” Lusambo said. In fact this is not true. People didn’t vote for office bearers to put on gumboots. Obviously this man has never heard of division of labour. If accountants and surveyors will start digging, what will labourers do? Who will issue receipts and pay workers? This country has really gone to the dogs.